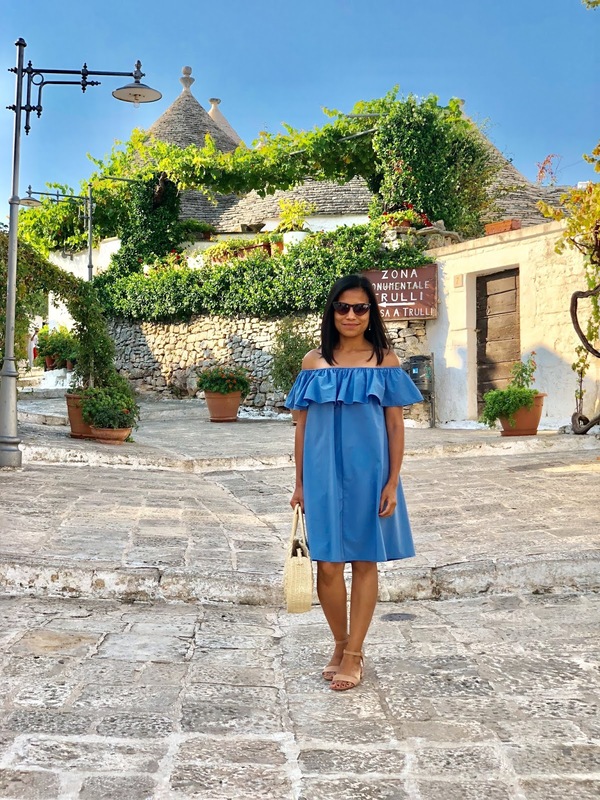 It took me a week before I could properly say Alberobello, a place I have never heard of before. Thanks to Farrah whose idea gave me the opportunity to visit one of the most unique places I have ever visited. So after four days of nothing but amazing trip to the Amalfi Coast, it was time to say goodbye to its best kept secret, Praiano. 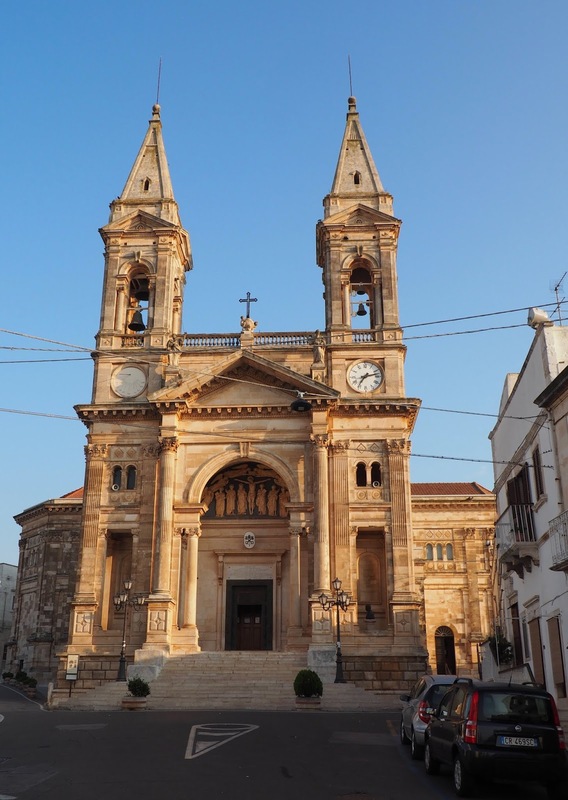 From there, we hired a taxi (£100 for an hour drive) to Salerno to pick up our car from Avis. 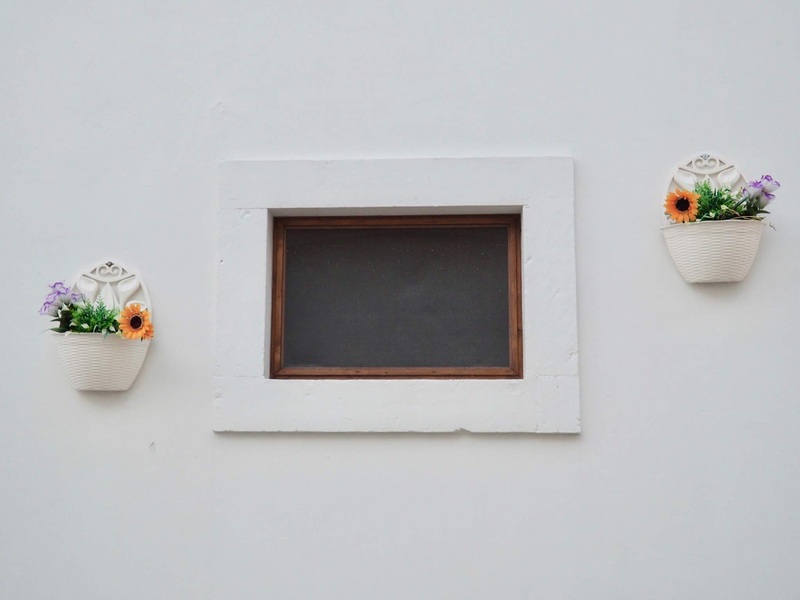 We didn't explore Salerno as it was not part of our itinerary but it felt like a big city. 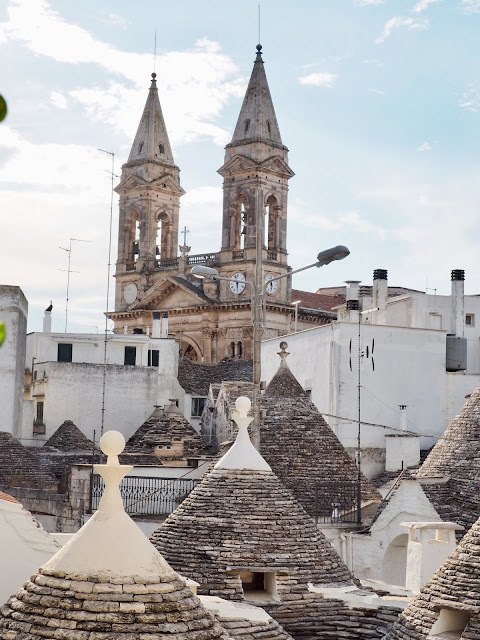 We grabbed a quick coffee and sfogliatella at a nearby cafe from the car rental then we headed to Puglia. To be honest, I didn't enjoy the 3 1/2 hours drive from Salerno to Alberobello that much because of the numerous tunnels that we had to go through. They seemed endless and some of them were not even lit. Besides, the route that we took was not as picturesque as I imagined it to be, hence easily forgettable. It was rather industrial and uninteresting. 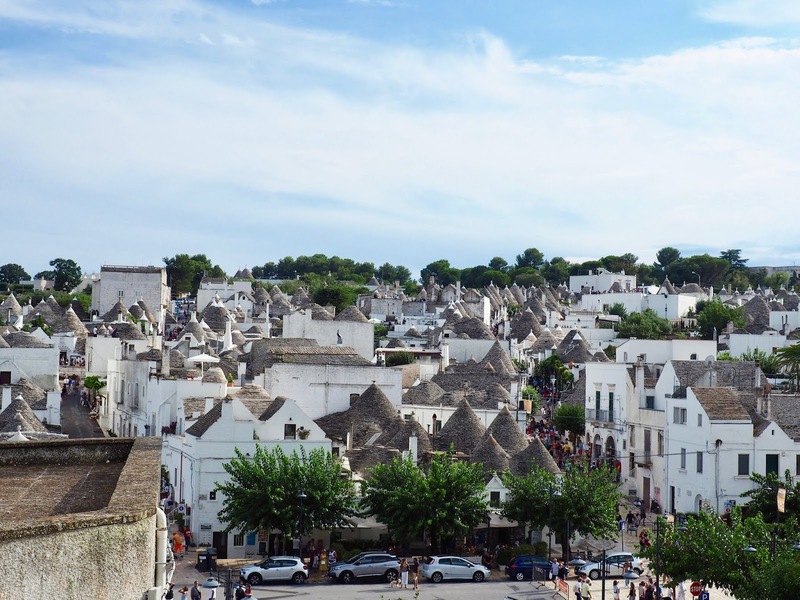 However, as we reached the town of Alberobello, things became more exciting. Alberobello is a UNESCO World Heritage Site and is known for its unique Trulli. 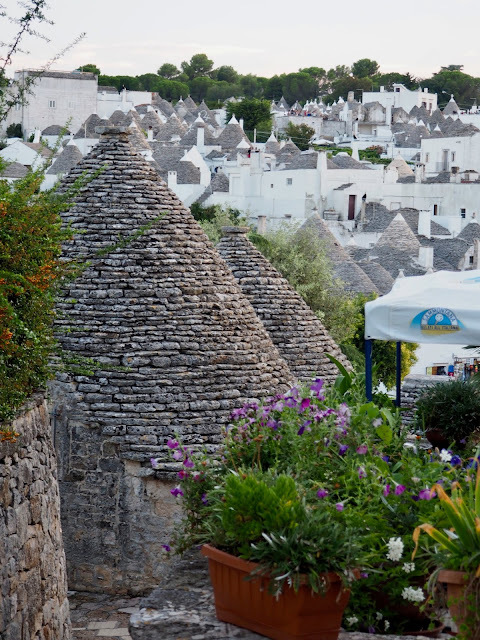 Trulli are basically small huts made of limestone, with dry-stone walls and conical roof. 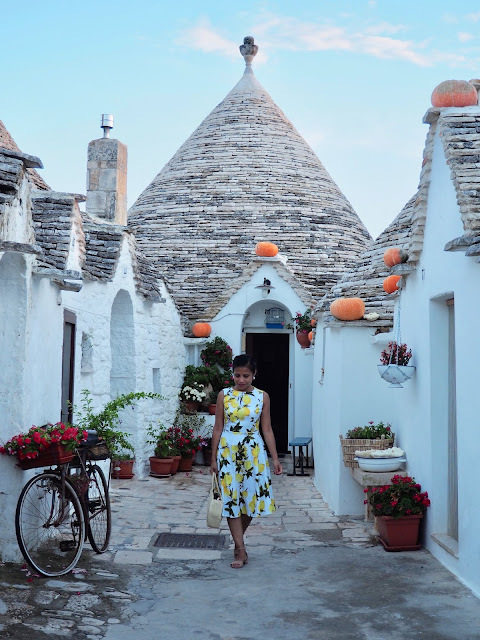 They were originally built as temporary shelters, however, people started living in the Trulli permanently when Alberobello officially became a town. Alberobello has two Trulli villages - the Rione Monti and Aia Piccola. 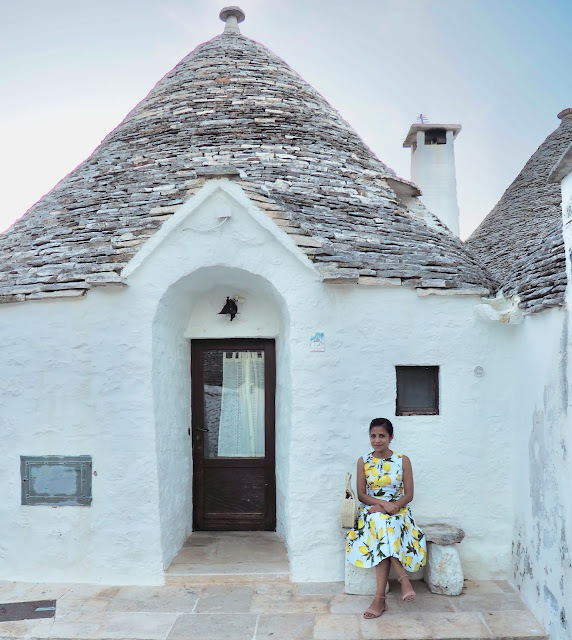 We visited the Rione Monti first as it is the bigger one with about 1,000 Trulli. Both villages are walking distance from Palazzo Scotto, where we were staying. In fact, Aia Picolla is literally just behind our hotel. We arrived at Rione Monti late afternoon and it was very busy. There was also some festival going on so every place was packed with tourists and locals alike. The Trulli were uniquely interesting. We went inside one and it felt so claustrophobic. It was cramped, I wondered how people actually lived there. We wandered around the village aimlessly until we reached the top of the hill where the Parrocchia Sant'Antonio is located. 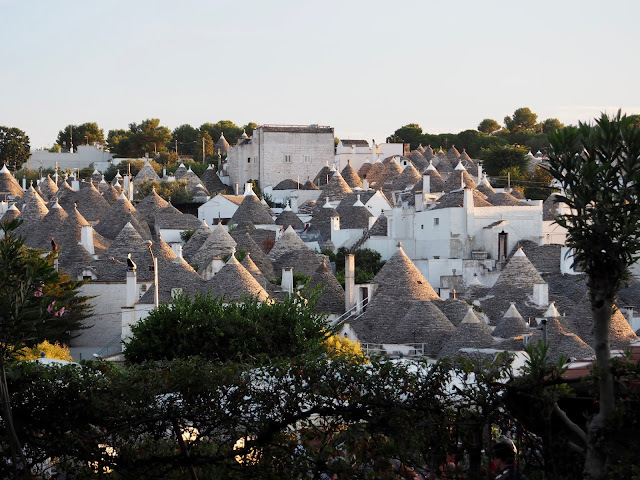 On the other side of the street from the church is the main town of Alberobello. It was quite uncomfortable walking around the narrow streets because there were so many people, but it was still a good experience nevertheless. The Rione Monti is very picturesque from Piazza del Popolo. 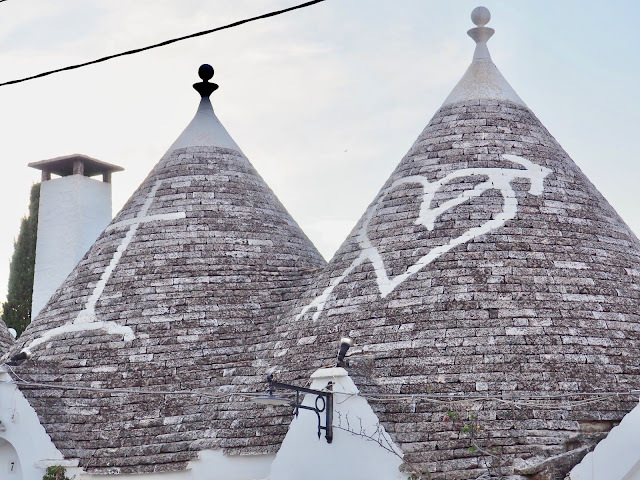 Aia Piccola is much quieter than Rione Monti with only 400 Trulli. Aia Piccola remains a residential area and to be fair, they are really lovely homes. We took photos of private trulli and the owners didn't mind. They actually happily watched us take photos after photos of everything and anything pretty that caught our hungry eyes. We stayed out until late evening that day. 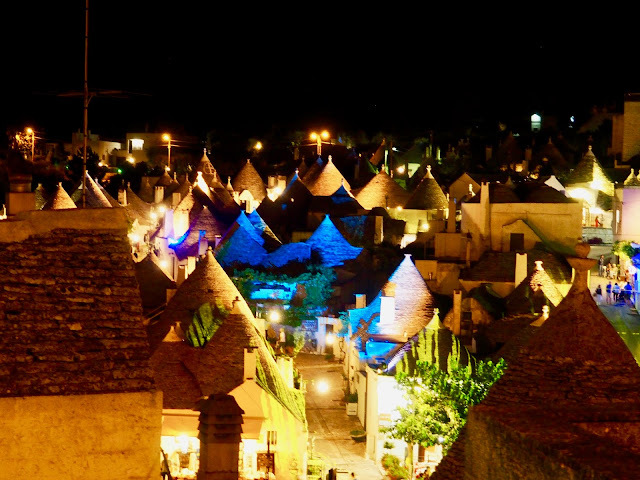 The Trulli were fascinating to watch at night, especially because they were illuminated. The day after, I woke up quite early and was out of the hotel by 0630 to fulfil a tradition. It was Keith's 18th birthday and so I went to Alberobello Cathedral (Parrocchia Santuario Basilica S.S. Cosma E Damiano), lit a candle and said a little prayer for him. The church has an imposing facade, however the interior is quite plain and simple. 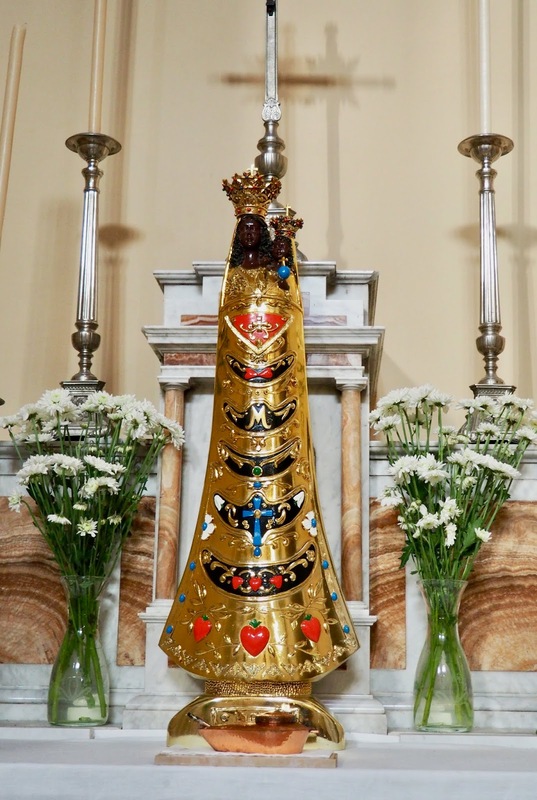 I was able to hear a solemn mass that morning, although it was in Italian. I also saw an unusual image of the Madonna and the Child. As soon as I got back from church, Farrah and I returned to the Trulli village, thinking that it would be quieter then, and we were right. 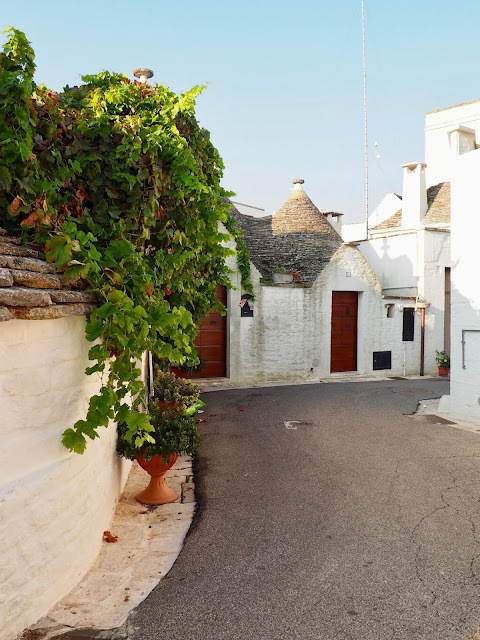 We had the trulli and the streets to ourselves. I had a better experience wandering around the village as there was no one around. The calmness and the quietness of the narrow streets was refreshing. In the whole, Alberobello is a very touristy town, however it is a must see. I had a unique experience here and I am happy that I was able to visit a place that none of the people I know (except Farrah of course) have mentioned before. 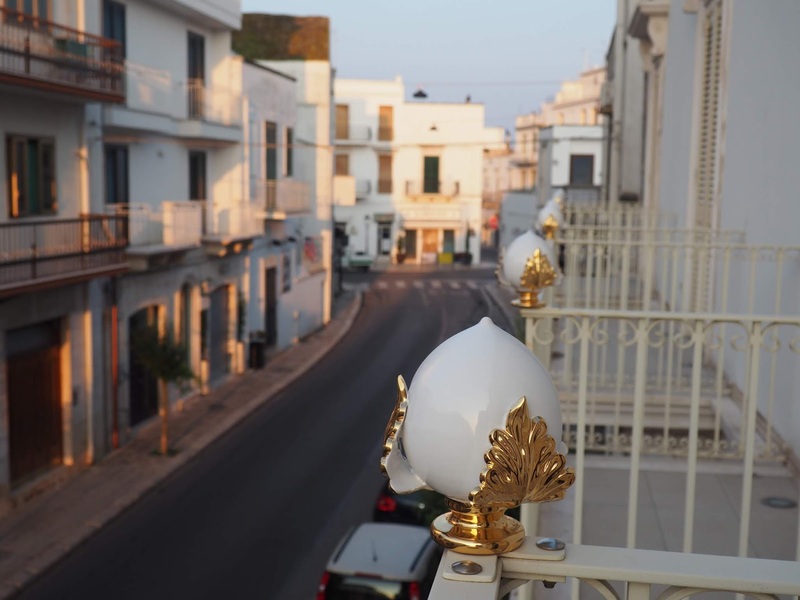 - Palazzo Scotto was an ideal accommodation for us- spacious, clean and tastefully decorated with antique furniture. The location was perfect for exploring the area. Valerio, the owner, was very helpful and informative. He delivered our breakfast in such a delightful manner. Breakfast was served fresh and aplenty. Their croissant was very delicious. In fact, I asked for more to bring to our trip to Matera. 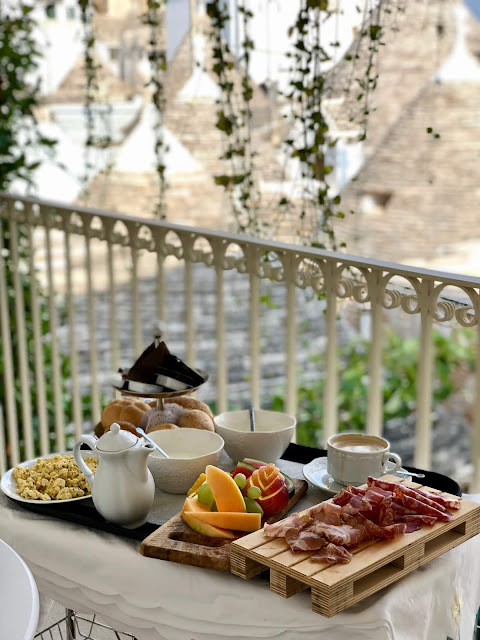 The balcony where we had breakfast everyday, provided us with a beautiful view of the Aia Piccola and the Alberobello Cathedral. - In my humble opinion, Il Poeta Contandino deserves a Michelin star. It was a perfect restaurant experience for me. 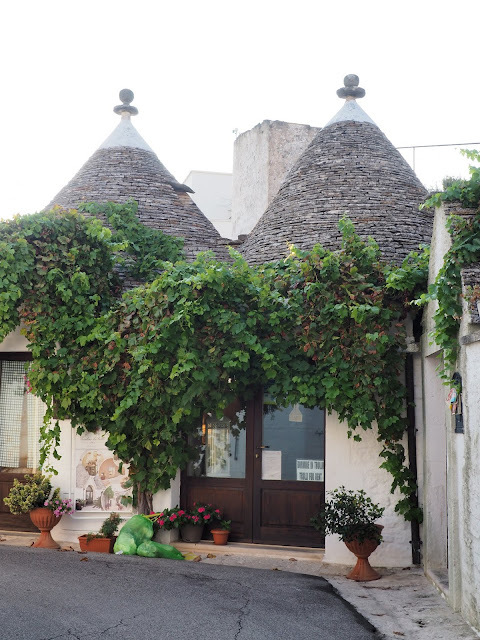 The location, although on the main street, was not as busy as that of the other Trulli village restaurants. The interior decorations were quite old-fashioned but just right to provide that formal dining environment that I was looking for. The big tree at the entrance was certainly an eye catcher. The food was served in an exquisite manner. The service was exemplary. This is definitely one of the dining experiences I will never forget. 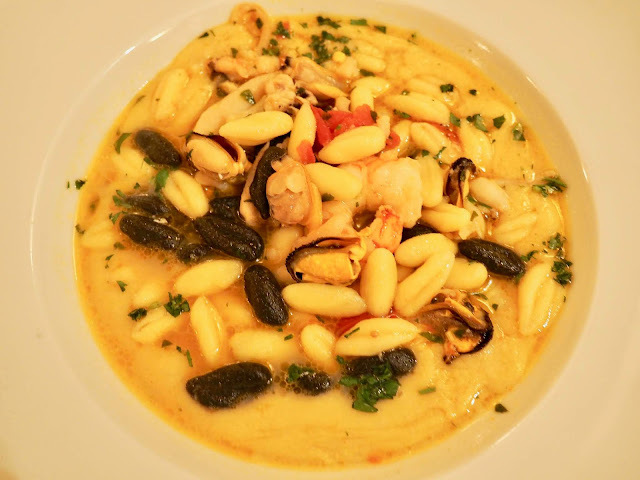 I would recommend the Fava bean puree with Cavatelli pasta and seafood, and the Orecchiette with turnip, dried tomatoes and walnuts. 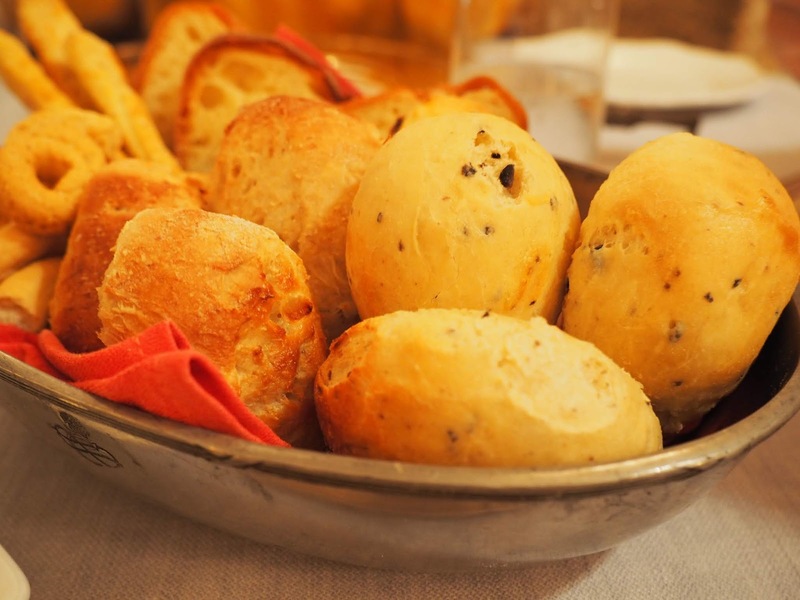 Even the selection of bread and the complimentary treats in between were amazing.